Lisa Siracusa is a board certified Physician Assistant with specific specialization in the field of minimally invasive surgery (RPA-C). 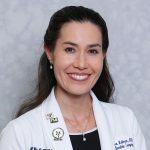 As a graduate from Wagner College and Bayley Seton Hostpital PA program in 1993 she has had several years of experience in the surgical medical field. Moreover, Mrs. Siracusa was the senior Physician Assistant in SIUH from 2000 to 2008. Her responsibilities included but was not limited to, training surgical residents, assisting surgeons during surgery, and managing surgical floor of SIUH. Being an important member of Advanced Surgical and Bariatrics of NJ, she is devoted to the needs of her patients. As a caring individual she is dedicated to secure satisfaction of her patients. 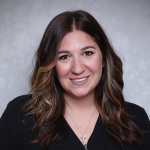 She is currently responsible for follow up visits with patients, as well as assisting Dr. Sadek in the OR during surgery. She is the mother of two beautiful boys, and is an active mother to say the least. Like many of our patients postoperatively, Lisa is determined to stay fit and keep the weight off by kickboxing and jogging 3 times a week.